The fifth generation of mobile networks will not appear soon but we want to get fast Internet on a smartphone right now. The cross-platform application Speedify will help in this. Speedify once again confirms the set phrase that strength is in unity. The application bonds cellular network and Wi-Fi in one stream, thus increasing the speed of the Internet. Now, having run into a cafe where there is Wi-Fi, you can easily watch 4K video on your phone or upload something volumetric to the Web. The following function of the application may be even more useful than the first. Surely, many faced problems when switching from Wi-Fi to mobile data. Suppose you left the house, listening to music online, and after some time got into the dead zone. The phone is still connected to the router, but there is no internet. It would seem that there is nothing wrong with that, you just need to wait, but in fact, it’s very annoying. Speedify allows you to smooth this transition and make it invisible to the user. 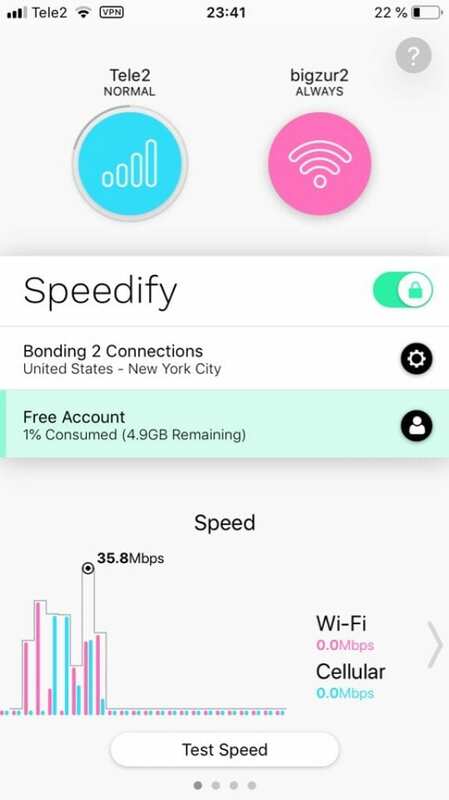 A distinctive feature of Speedify is the highest possible Internet connection speed. It is achieved by combining all the available Internet connections. For example, wired internet and mobile 3G / 4G connectivity. 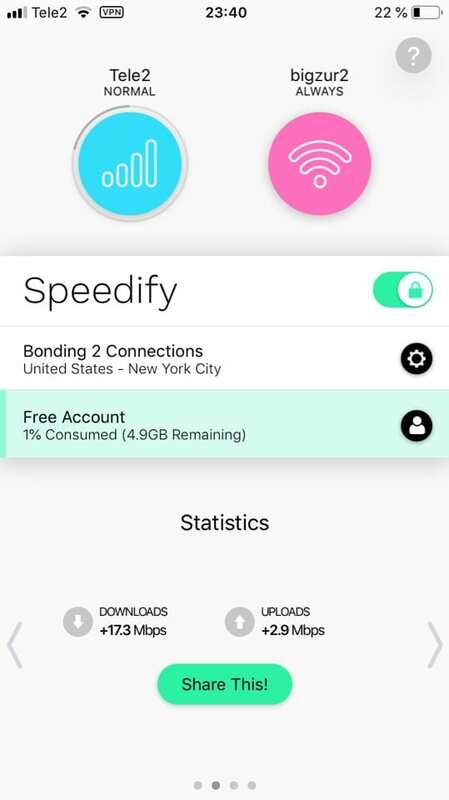 Even with only one type of connection, you can increase the speed due to unique technologies Speedify. Protect yourself from tracking in unprotected networks without sacrificing connection speed. Speedify doesn’t register your IP address, data about visited websites and traffic transmitted through the service. Using the latest encryption standards, Speedify provides twice the performance and ensures that no one will see your confidential information. This product runs in the background, so you remain secure, even while chatting on Facebook or viewing your Gmail email client. Unlock your favorite applications and services in the workplace or at school, get secure access to your email correspondence from the coffee shop and view locally blocked content at home or while traveling. Speedify is available for Mac, PC, iOS and Android platforms. In addition, the application has other useful functions: you can monitor the traffic, set limits, and priorities for the use of a particular network. 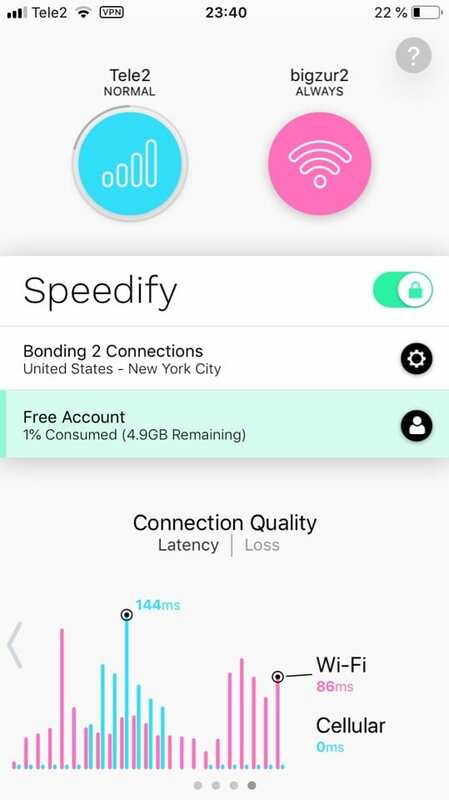 No matter for what purpose you use the Internet, Speedify will provide you with a faster, more reliable and secure connection. 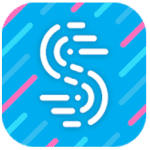 Designed for both technical and non-technical users, the Speedify simple interface makes it easy to combine Wi-Fi and cellular networks for ultra-fast speeds. Ideal for streaming video, live broadcasts, online gaming and for surfing the Internet. An extensive list of servers ensures that you can access the websites you are interested in, no matter where you are in the world. 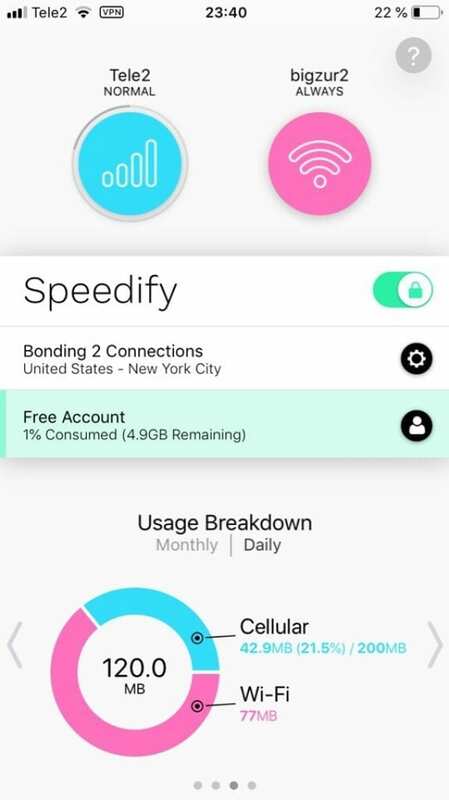 Speedify can be used for free with a traffic limit of no more than 5 gigabytes per month.